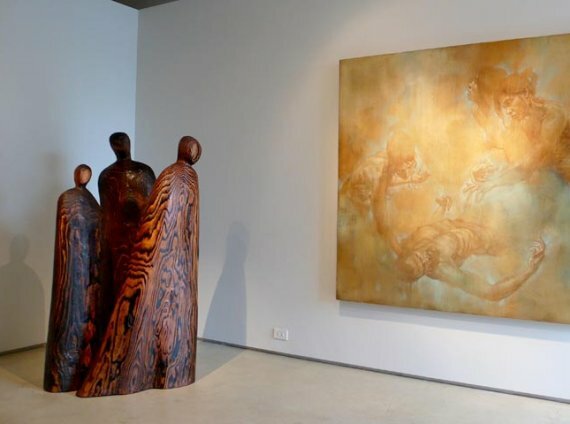 The Diane Farris Gallery in Vancouver, Canada recently featured the States of Being exhibition by local sculptor Michael Dennis. Dennis creates his pieces from massive cedar logs he salvages from the west coast of British Columbia. 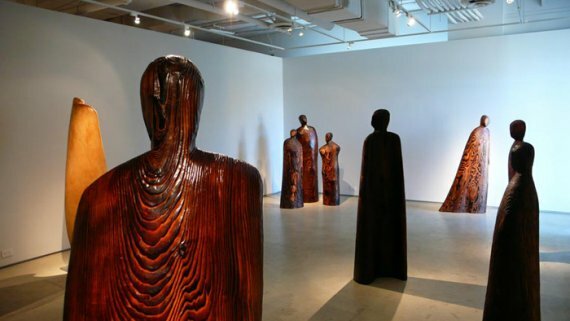 Working in his studio on Denman Island, he sculpts the logs into subtle yet powerfully haunting human forms. Visit the Diane Farris Gallery website for many more photos – here. Visit the Michael Dennis website – here.